Brian Kolfage, a triple amputee who served at Davis-Monthan Air Force Base in Tucson, started a GoFundMe campaign to pay for a border wall between the U.S. and Mexico. TUCSON, AZ (Tucson News Now) - The GoFundMe campaign to pay for a border wall is over after the man behind it changed his plans about how to use the money, according to BuzzFeed News. BuzzFeed reported Brian Kolfage, a man with ties to Tucson, decided to use the money to fund a private organization he started. Kolfage said his group would build the wall itself. “The federal government won’t be able to accept our donations anytime soon,” Kolfage wrote on the GoFundMe page. “We are better equipped than our own government to use the donated funds to build an actual wall on the southern border. Our highly experienced team is highly confident that we can complete significant segments of the wall in less time, and for far less money, than the federal government, while meeting or exceeding all required regulatory, engineering, and environmental specifications." GoFundMe told BuzzFeed it will refund everyone who has contributed since the terms of the campaign changed. On Thursday, Jan. 11, BuzzFeed published a story featuring interviews with several people who said they once worked for Kolfage. Kolfage began his “We the People Will Build the Wall” campaign in December and sought to raise $1 billion to pay for the wall. As of Friday, Jan. 11, the drive had raised $20 million. 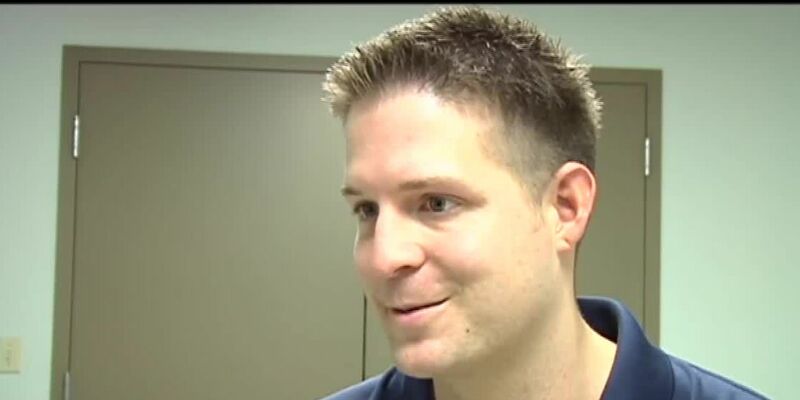 Kolfage has ties to Tucson and KOLD News 13 has profiled him several times in the past. He is a triple amputee injured in the Iraq War in 2004. Kolfage, who now lives in Florida, went on to serve at Davis-Monthan Air Force Base for several years. KOLD News 13 profiled him in 2011, when he received an upgrade to his prosthetic legs. “On Sept. 11 2004, I was in Balad, Iraq, and I was hit by an insurgent rocket,” he said at the time. The addition was a special gel that help with comfort. “I tested it out over the few days and I had no pain and so that was the cure,” he said. We also did a story in 2012, when Kolfage was a special guest of former Rep. Gabby Giffords for President Barack Obama’s State of the Union address. The total cost of a border wall has been estimated as costing anywhere from $5-25 billion. A border wall has been one of President Donald Trump’s biggest campaign promises.